Davao Oriental will launch early this year the priority eco-tourism projects viewed to boost the tourism industry of the province after Typhoon Pablo devastated tourism sits in the province in 2012. Davao Oriental Tourism Information Officer Miguel Trocio on Friday named some of the priority landmarks that are up for launching early this year. These are: Mt. Hamiguitan Range Eco-Tourism Park, Aliwagwag Protected Landscape Eco-Tourism Park, Cape San Agustin Heritage Park in Governor Generoso, Pusan Point Eco-Tourism Park in Caraga and the Davao Oriental Welcome Park, and Subangan Museum in Mati City. The mentioned destinations made the province known to tourists. But the province made significant constructions to formally make them as tourism sites, Trocio said. He cited for instance the Pusan Point located downhill in the innermost town of Santiago in the municipality of Caraga, is a landmark destination Davao Oriental is known for. Marked by a large white Cross, the site now has a visitors’ viewing deck, a museum and a lighthouse. This site is considered a highly significant place in the province as this is the only place in the country where the sun is seen to rise first. Trocio also made special mention of the Mt. 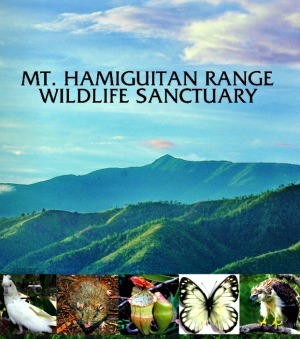 Hamiguitan Range Eco Tourism Park and Aliwagwag Protected Landscape which will soon be formally opened to the public. Mt. Hamiguitan Sanctuary was declared World Heritage Site by the United Nations Education, Scientific and Cultural Organization (UNESCO) in June 2014. Trocio said at the mountain’s buffer zone one could now avail of a research center, tourists villas, a natural science museum, and an interpretative center where tourists can view the mountain especially its pygmy forest. The Aliwagwag Protected Landscape project in Cateel is an eco-park showcasing conservation and biodiversity. A birdcage of 64 bird species found in the forests within the area. There will also be canopy walks, zip line rides, trail hiking, picnics, and river cruising. It contains the headwaters of the Cateel River in the southern Diwata Mountain Range which provides the water source and irrigation for surrounding rice fields and communities in Davao Oriental and Compostela Valley provinces. It was named after the remote rural village in the municipality of Cateel where Aliwagwag Falls is seen.Trocio said the complex will also include a restaurant, souvenir shop, viewing deck and a livelihood center where local crafts will be featured, including pottery and weaving of Dagmay, an indigenous cloth. Davao Oriental’s state-of-the-art Subangan Museum will also be formally opened. The facility features treasured relics, photos, videos, interactive visuals, documents, and textiles from the province. Subangan’s main attraction is the fossilized remains of a 50-foot long sperm whale, believed to be the largest in the Philippines and the seventh largest in the world. All of the eco-tourism projects mainly contain a museum to give visitors sufficient information about each of the eco-project, Trocio said. The priority eco- tourism projects development projects were included in the province’s P175 Million Annual Investment Program (AIP) for 2014 presented during the recent Provincial Development Council Meeting held at the City of Mati. The fund is sourced out from the 20 percent Local Government Development Fund (LGDF). Earlier, Davao Oriental Governor Corazon Malanyaon said the government is prioritizing the above projects to help boost the province’ s tourism industry which suffer a severe setback after pounded by typhoon Pablo in December 4, 2012, one of the worst typhoons to hit Mindanao. Davao Oriental is among those severely hit by Pablo.